Click on one of the casestudy regions in the map below, to show more details! An in-depth coverage of each casestudy can be found following the link “Learn more”! The available casestudy regions are retrieved from two projects and visualized with different colors in the map. More information on the involved projects can be found on the “imprint & about” page. Casestudy regions covered during the MOTIVE PROJECT are represented by orange pushpins in the map below. Casestudy regions explored in the ARANGE PROJECT are shown with blue pushpins in the map below. The Montafon case study is located in Austria in the western Province of Vorarlberg at the border to Switzerland. 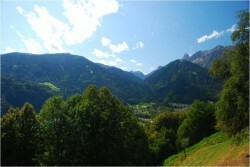 The case study is part of the Montafon Valley, situated in an alpine landscape in the Eastern Alps. The valley floor is densely populated. 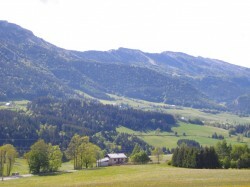 Regional economy is based on tourism (skiing in winter, hiking and mountaineering in summer) dairy farming on grasslands and mountain pastures, and forestry. 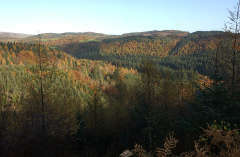 The case study region in the Black forest has a forested area of about 8600 ha and is close to the city of Baden Baden, Germany. 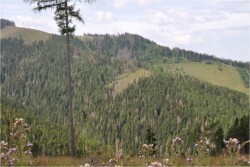 Economically very important are the Norway spruce plantations, that are endangered by bark beetles and windthrows. 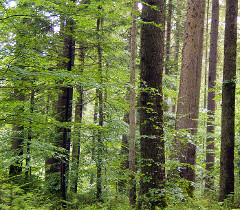 The forests of the Frasin case study in Romania are situated mostly (90%) in mountaineous area with Norway spruce, beech and silver fir the main species. The production of timber is the main goal both for state owned and private land. 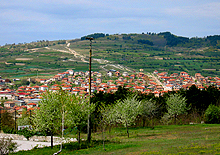 The Bulgarian case is situated in a hilly region called Sashtinska Sredna Gora in Western Bulgaria. In the local municipality permanently reside 5,600 people, who are largely dependent on the adjacent agricultural and forest areas. 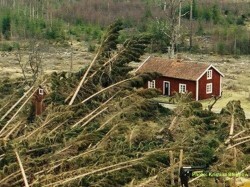 The forest stands are of relatively low productivity. Natural stands are mostly mixed coppice Sessile oak, Hungarian oak, Turkey oak, Hornbeams, etc The provisioning of fuel wood is the most important service provided by these forests. Poblet Natural Site of National Interest (NSNI) is a protected natural area with a size of 2,460 ha in the province of Tarragona in the south west of Catalunya. 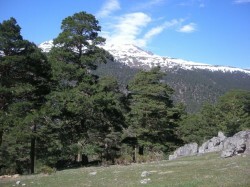 The area is part of the Prades mountains and managed by the regional government of Catalunya (Generalitat). A wide varienty of mediterranean forest types - dominated by oak and pine species - are located in Poblet. While fuelwood and charcoal production were important ecosystem services historically, in recent years recreation and tourism increased in importance. The Chamusca region covers an area of 74600 ha in central Portugal of which 70% are covered by forests. 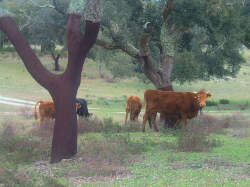 Main species are cork oak, eucalpytus, maritime pine and stone pine. The region is threatened by climate change due to increasing drought stress and forest fires. 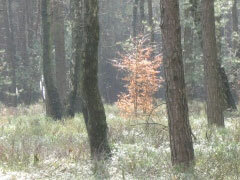 The Veluwe is an extensive forest and heathland area of 100,000 ha located in the centre of the Netherlands. Main objectives are recreation, nature and landscape protection and – for some parts - timber production. 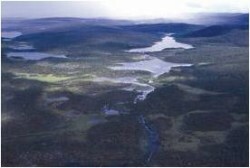 Kronoberg County is located in southern Sweden and is situated at the transition zone between the northern hemisphere boreal zone and the mid-Europe deciduous forest zone. 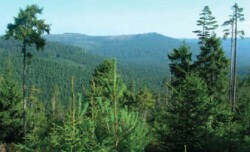 The forests are dominated by Norway spruce, with some occurrence of Scots pine, Birch and others. 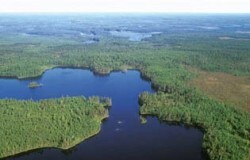 The case study area is located in the Provence of North-Karelia close to the Russian border. The forests in the sparsely populated area are mainly privately owned and used for timber production. Main tree species are Scots pine, Norway spruce and Birch.